At 1905, we have nearly 20 years of experience working with SAP technology, and have acted as consultants to companies all of the world who look to us for our expertise in SAP security, Basis administration, migration, architecture, and project management. Armed with our advanced understanding of the intricacies of SAP, we are uniquely qualified to develop software solutions that support technical professionals who work with SAP in their everyday tasks. We always design with time saving and ease-of-use in mind. As a company, 1905 develops lean and affordable products that address specific management challenges within SAP environments, including our flagship product, UserXpress. 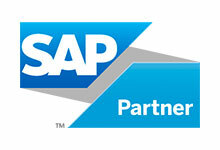 We always use SAP’s own technical functionality in our solutions so that no additional management overhead is created. Our high-functioning products work hand-in-hand with SAP NetWeaver — at an affordable price. We embrace the challenge of automating time-consuming and complex tasks. Our work is rooted in a love of elegance and simplicity, and in dedication to transforming the everyday SAP user management experience.